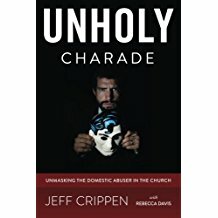 If you are a Christian and if you have either been the victim of an evil one parading behind a false facade of “saintliness,” then you most likely have felt the very common sting of being viewed with contempt or even driven out of your “church” for daring to expose the domestic or sexual or spiritual (sometimes all 3 wrapped up on one) abuser. Well, let me encourage you by showing you evidence that the visible church is far more apostate and corrupt than most professing Christians even want to know. In other words, let me show you that it was not Christ’s true people who cast you out, but counterfeits – wolves in wool. The Lord Jesus spoke very plainly. His words, as quoted above from John 16, tell us that the true remnant of God can expect, increasingly as the Day of the Lord approaches, to be “put out.” Speaking to Jews, He specified “put out of the synagogue.” In other words, the clergy, the visible church that claims to be the church of God, cannot and will not tolerate a genuine Christian in its midst. And, as Jesus goes on to say, when they ex-communicate Christ’s people, they will boast that they are doing it all in the name of the Lord! Now, what is really going on? That is to say, so many of you who have been shunned or ex-communicated or accused or shamed by your local church for daring to speak out about the evil that is going on behind the scenes, were treated this way because those pastors, those elders, those church members, do not know Christ. Oh, I know that can be hard to believe. They put on such a show. Perhaps you were in such a “church” for many years and were quite active in serving there. Surely, you thought, these people are Christians. And yet, Jesus tells us that we can know that when the righteous are cast out of such places that place is in fact a den of robbers, not His Body. Read His words above again. That is exactly what He said. See it? Why should we be so surprised when it happens? Let’s not be confused by this fog the enemy likes to hide behind. These words of the Lord in Scripture blow that fog away and enable us to see what is truly going on. YOU were put out of your church when you reported a wicked, counterfeit “christian” abuser because you are light and they are darkness. it is they who shall be put to shame. Why is it that most all of the hundreds and thousands of domestic and sexual abuse survivors, whose abuser targeted them in a local church, are no longer in such a place? Why do the majority not attend a church like they used to? Because, whether formally or informally, they have been cast out by the wicked counterfeits who do not know the Lord. And they are finding the real Body of Christ in some pretty unconventional places. It has always been that way you know. Catacombs. Caves. Therefore, like the blind man healed by Jesus in John 9, when we are put outside the temple, we will find the true temple – Jesus. And we are seeing this very thing play itself out more and more in our day. We really can rejoice when this happens to us. It’s not fun, but it really clears things up.